This is a handmade album/journal. 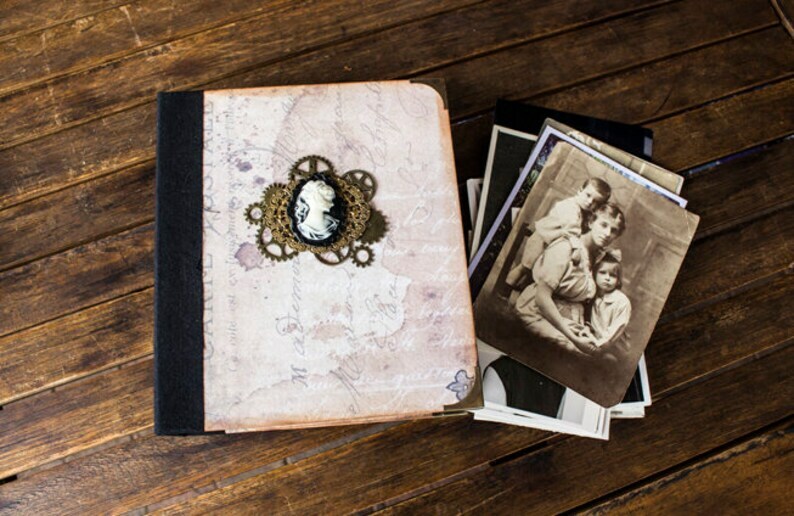 A great gift for a loved one or something for yourself to put those precious memories in: photos, notes, cards. The mini album's finished dimensions are 17.5x15.5x5.5cm giving enough room for a standard size photo. There are 6 pages with 2-3 pockets with inserts to mount photos on. More images can be seen on my Facebook page and Instagram.